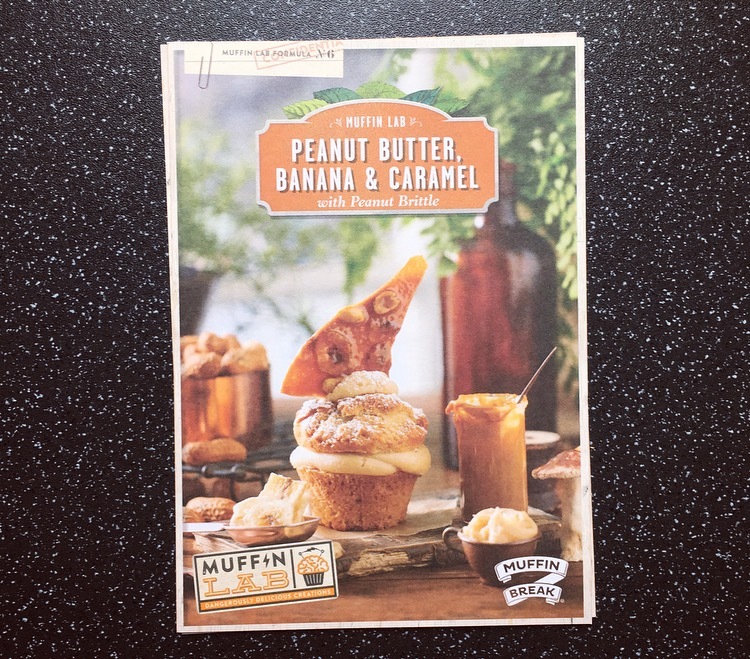 On Friday a little email from Muffin Break landed in my inbox to tell me all about their new limited edition muffin, which clearly had me at Peanut Butter! So say hello to Muffin Break Peanut Butter, Banana & Caramel Muffin. 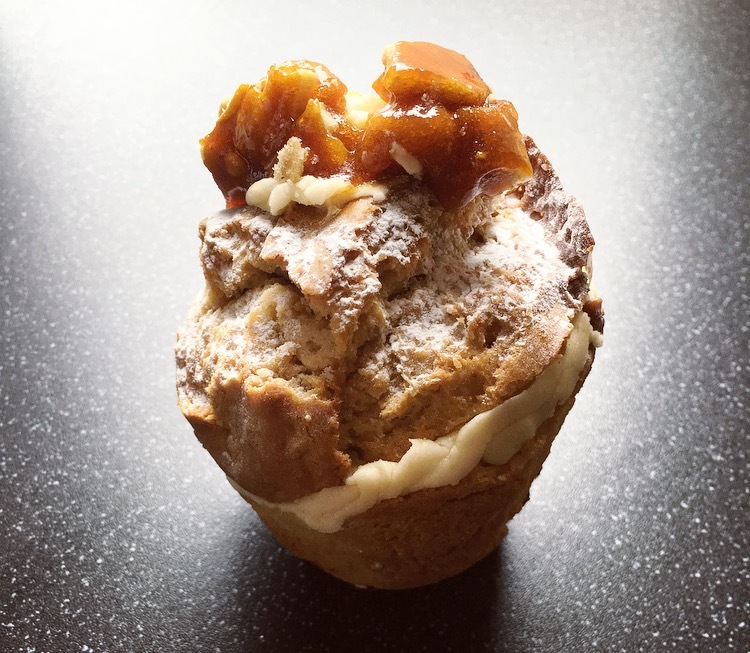 Peanut butter and banana is a classic combination yet the Muffin Lab have taken it a step further and thrown in some caramel for good measure. I picked one up for a grand price of £2.30. I have to say it really didn’t quite replicate the one from the picture. For one it was as if the muffin was drunk given its lopsidedness and kept falling over when taking a picture, and two where was the wedge of banana peanut brittle? Slicing inside this is one beast of a muffin. 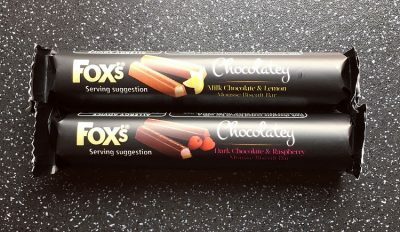 What was the first thing I noticed…… where oh where was the creamy peanut butter centre!?! Clearly on holiday because there wasn’t even a hint of a peanut butter centre *sobs*! I was pleasantly surprised that despite the ratio of muffin to cream looking a little lack lustre, there was not a dry crumb in sight. The cream was a delightfully sweet smooth caramel cream however I could have done with a bit more so you would get a bit with every bite. The sponge had a nice flavour to it but I wouldn’t necessarily pinpoint it as banana. The peanut butter banana brittle was more of two small blocks rather than the exciting shard, however this was by far the best part of the whole muffin. 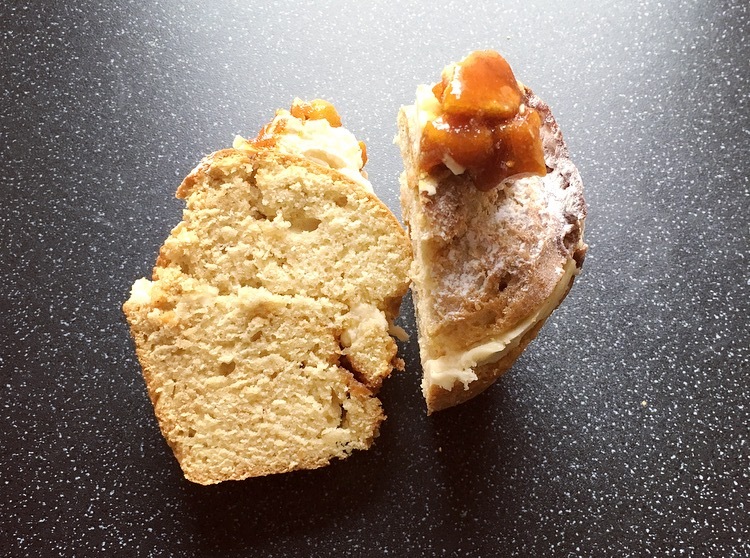 Banana – check, peanut butter – check, caramel – check, absolute brittle heaven – CHECK CHECK! I actually want this bagged up and sold because I would buy the lot! Muffin Break Peanut Butter, Banana & Caramel Muffin is a bit hit and miss. 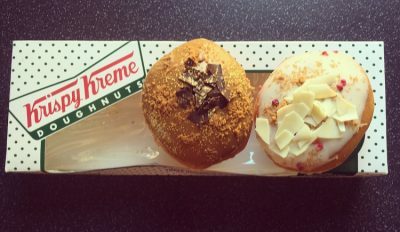 As a whole it is rather yummy however, and there is a big however, and that is where is my Peanut Butter Centre?! I am assuming but cannot confirm that I had a duff muffin given my muffin had no centre and this does annoy me greatly as seemingly there is no quality control going on. The predominant flavour here is caramel with the banana and peanut butter being left in the dark depth of the shadows. If it wasn’t for the brittle topping there would be no peanut butter whatsoever, and that would have made an already sad situation into one hell of a sad sad situation.